Migrant Agriculture Professionals. AKA – migrant farm workers. 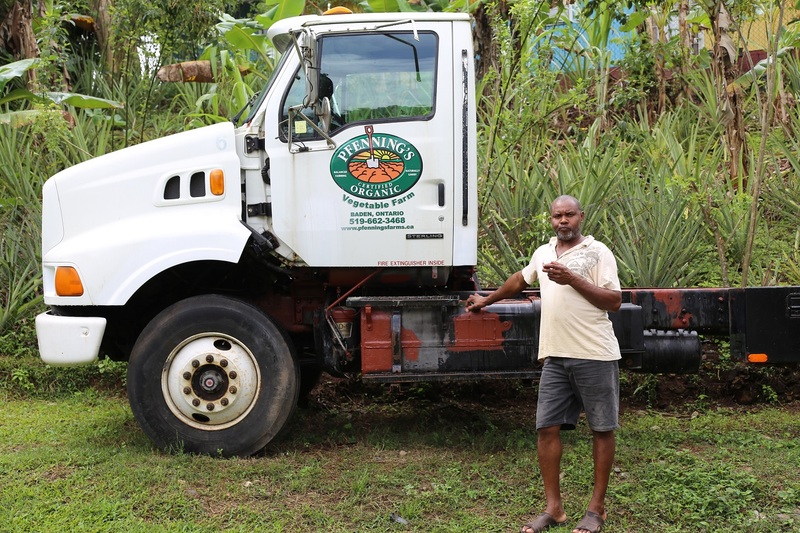 You may see them in our fields, driving tractors to plant the crops, clipboard in hand managing the compost piles, or bringing in the harvest in wagons piled high with carrots. Have you ever wondered what their lives are like when they leave here? When the fall frosts bring harvest to an end in Ontario and the roots are all safely stored for winter they fly home to be reunited with their families after up to 8 months away from home, and get some much needed rest. After taking some time to rest and reconnect with their loved ones and friends the days are filled with projects. House building, farming, mechanic work and many other pursuits fill their days. Jamaica is often mentioned in news stories featuring crime of some sort. 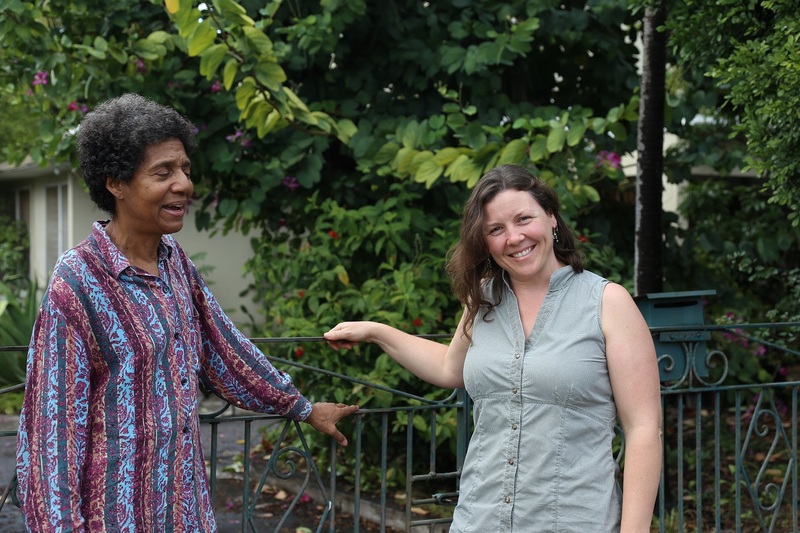 When we travel there and visit people away from the tourist hotspots and big urban centres, we find a generally peaceful, vibrant land whose people are as friendly as the weather is warm. 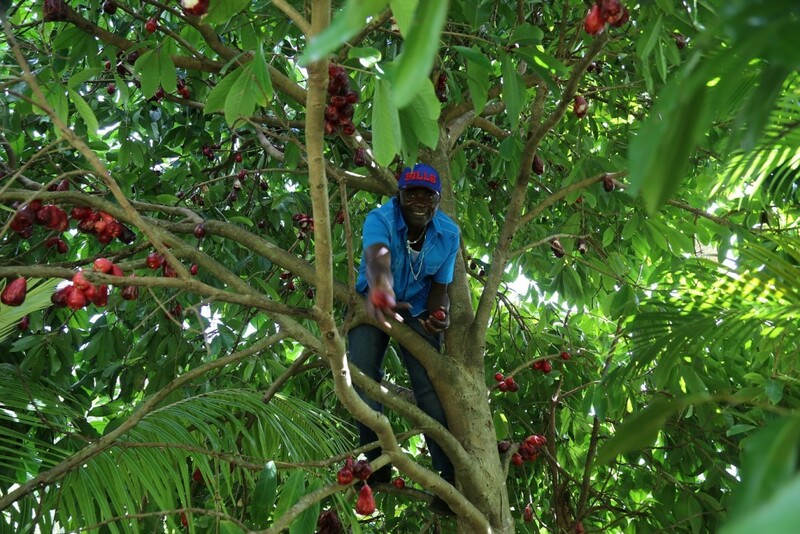 The news in Jamaica talks about farmers facing drought and parents working hard to send their kids to school, political challenges of land ownership and trade rights, the reality of owing foreign debt and the influence of the IMF. It is a land whose people have a turbulent past and a long history of fighting to be free. 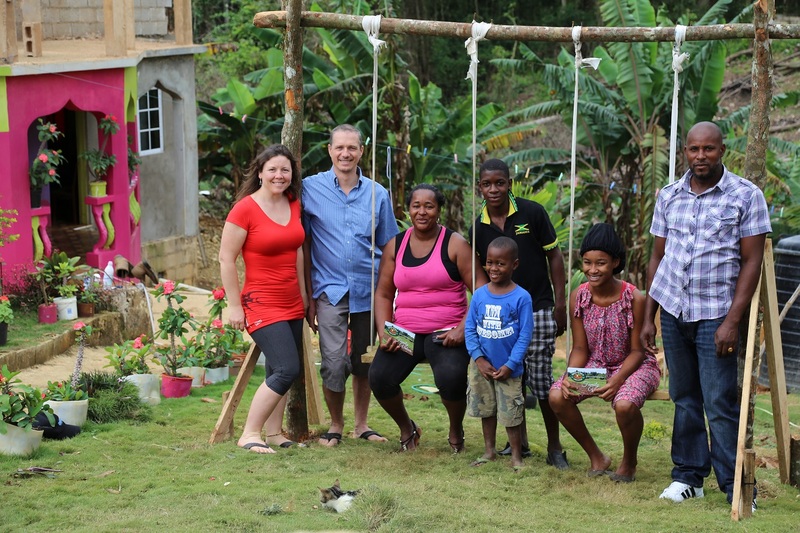 As our friendships with her people have grown, Jamaica has captured our hearts. For the last couple years, Mr Blake has been working on this beautiful, cozy property. 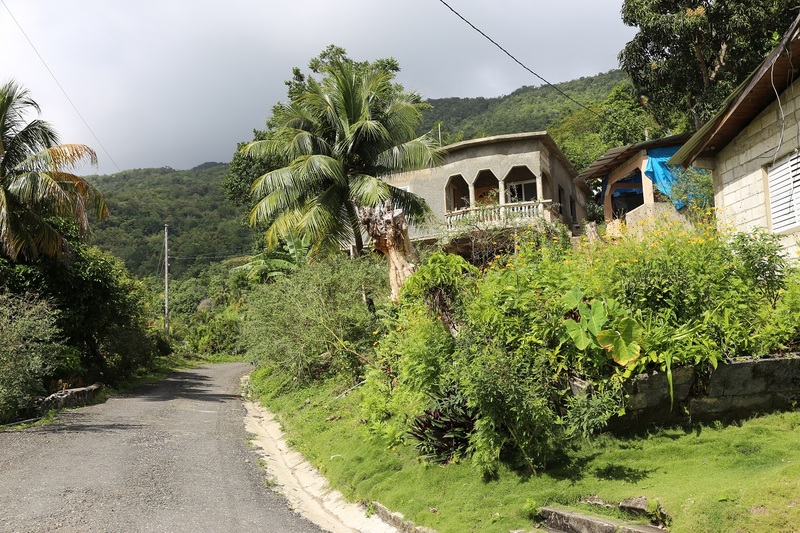 He built the house and then moved his wife’s cook shop into the shade of the mango tree. From her shop she serves tasty local fare to students on their way to school, policemen on their patrols, truck drivers on their delivery routes, and any hungry passerby. She even feeds hungry Canadian farmers who love a good dish of jerk with rice and peas, who arrive tired from the airplane ride. Our visit with the Blake family coincided with Mr Blake’s appointment to have his annual medical and biometric scan for his work permit to come back to our farm in the spring. He traveled to Kingston early in the morning and thanks to the recently streamlined system, was home by lunch. Other years he had spent two days and more to have the checks completed. Vendors at the Mandeville market selling soursop, sweetsop, mangoes, plantain, bananas, ackee, coconuts, onions and more. The vendor in the fore is preparing ackee by pulling the fleshy aril from the fruit and removing the seed. Bev, (Mrs Blake) needed supplies for the shop so we went to the market in Mandeville about a 45 minute drive away. As we walked through the market together she greeted vendors she knows and we tasted fruits. 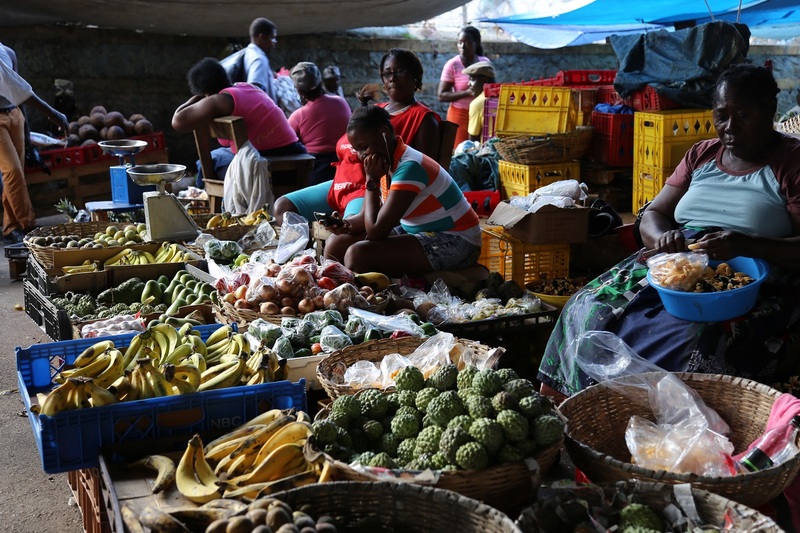 The market is one of my favourite stops when we are in Jamaica and Mandeville is one of the biggest markets on the island. 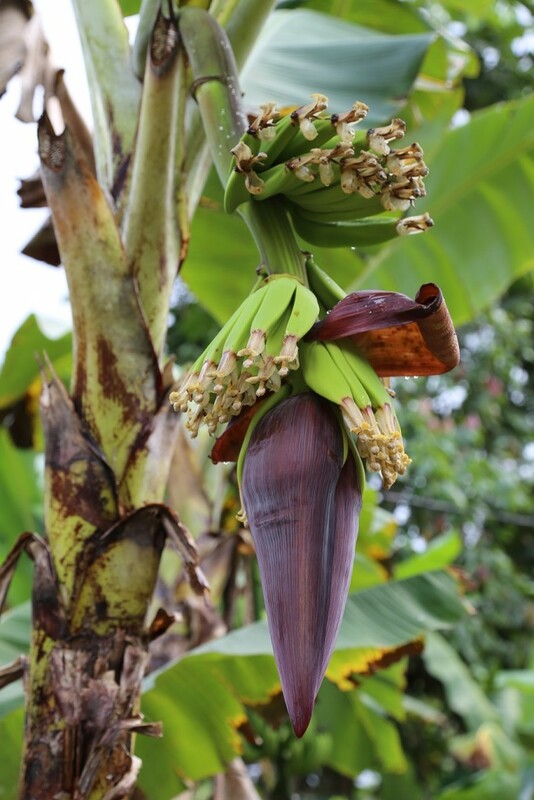 The wide variety of colourful local produce is a delight to the eyes as well as the tastebuds. Along with ubiquitous items like onions and carrots, there is breadfruit, ackee, soursop, sweetsop, sorrel, jackfruit, callaloo, yams (true yams, not sweet potatoes), and adorable, hot-as-fire scotch bonnet peppers that give jerk spice its heat, spices such as nutmeg, allspice (locally called pimento), cinnamon, ginger and turmeric give the finishing touch to the local cuisine. Farmers and vendors who consolidate produce from small farmers come from quite a distance to sell at the market. It is open every day of the week. Not all the vendors attend every day though. When a vendor is not present their stall is covered in tarps and trussed up like a package. A familiar logo greets us when we visit our good friend and valued team member of over a decade. Our old truck has found a new home with Mr Johnson. He is working on getting a new box put on it so he can earn an income hauling freight in the months he is home. Farming isn’t the only area of experience and expertise that he brings to his job. His mechanical skills also make him a great asset on the farm as our machines need lots of care to perform well through the season. Most of the fruits and vegetables at the market are grown in Jamaica. The supermarkets are a different story. Apples from USA, garlic from China and coconut oil from Thailand are common on most store shelves. 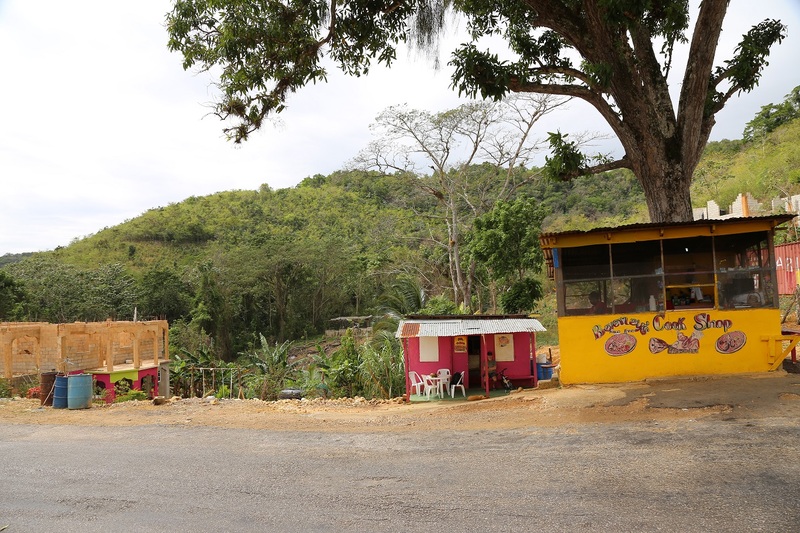 With the absence of winter and rich soils to be found in most parts of the island, Jamaican residents can eat well on a “100-mile-diet”. 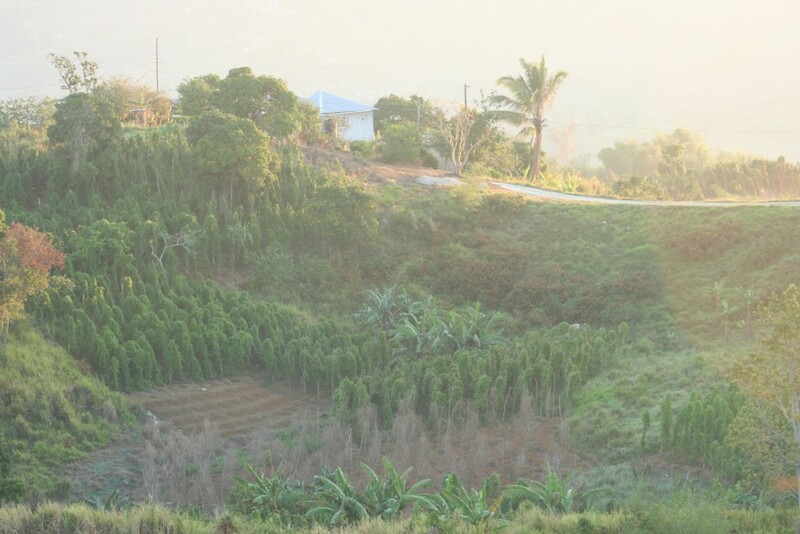 We visited a farm that is just beginning to grow organic breadfruit and papayas. 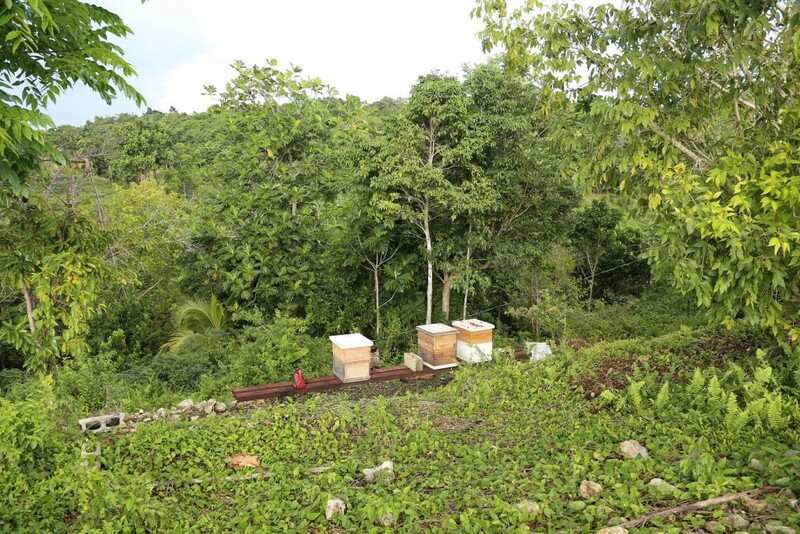 They also have a few bee hives and are hoping to produce honey as they are across the valley from a bird sanctuary. There is a lot of work to do before the farm will reach it’s potential and with the farmer having other responsibilities it is hard to get everything done. Surveying the small organic farm with Mr Blake and the farmer. 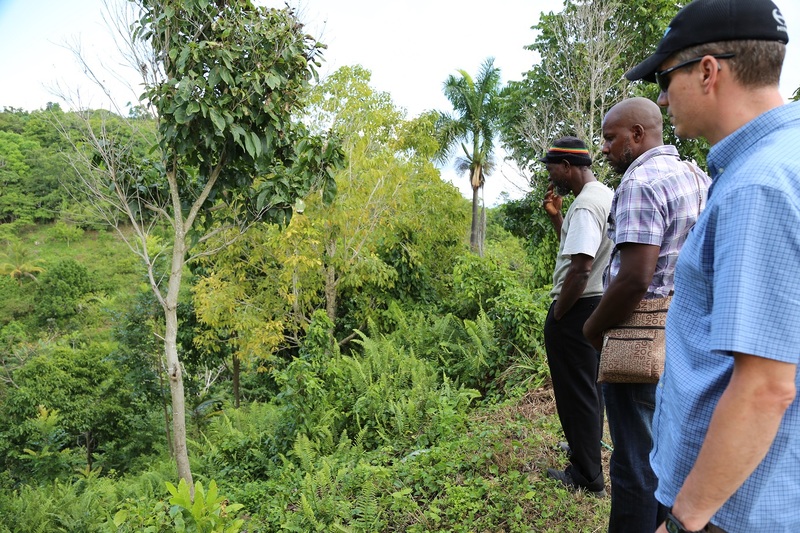 Our visit to that farm made Mr Blake more keenly aware of the need for farm workers who have learned skills from larger farms here to share those skills with the smaller farms in Jamaica. There are a lot of conversations happening about local food and supporting local farmers just as there are here and in many countries around the world. Hives at the small organic farm we visited. 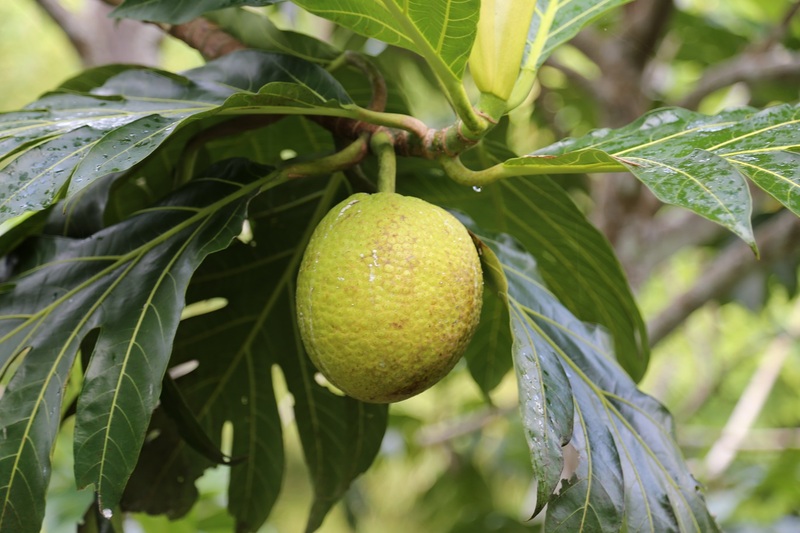 Breadfruit on the tree – one of the most aesthetically pleasing trees on the island in my opinion. While our team of professionals are in Canada, we are all running like crazy to get the crops planted, keep the fields clear of weeds as well as harvest and market the bounty. 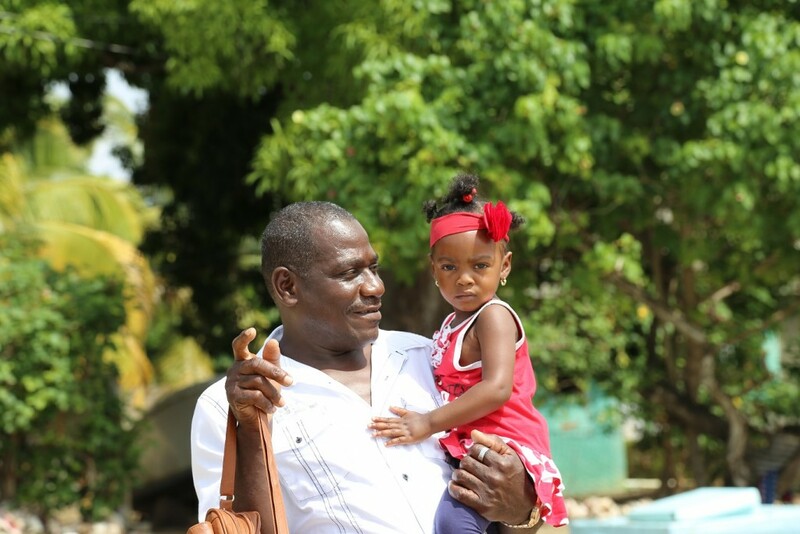 Mr Sterling and his granddaughter. Mr Bowers has spent much of the past 6 winters building his home. We drove up to see it and meet his wife. By the time he comes back to Canada this summer, his family will be moved into it. The view from the living room is spectacular! This time of year is apple season on the island. Not the kind of apples we are used to here, but a Jamaican apple, softer and more perfumed than ours. Mr Bowers picked some from the neighbourhood tree that was shedding dozens of the fruit to go uneaten as the rain brought on such a bounty that the people can’t eat them all. Just as with soft fruits here, the apples had swelled with juice from the rains and many were split, but that didn’t dampen our enjoyment. A particular highlight of this trip was meeting Ms Rowan-Campbell. She has been working on Jamaican Organic agriculture and standards for some time already and we found that we share interest in the structural challenges of farming and migratory work. These human connections help us to find solutions to the challenges. One more friend to enhance our enjoyment of Jamaica and another like-minded person to join in working towards a better future. As always, we came home with a million plans for our next visit!